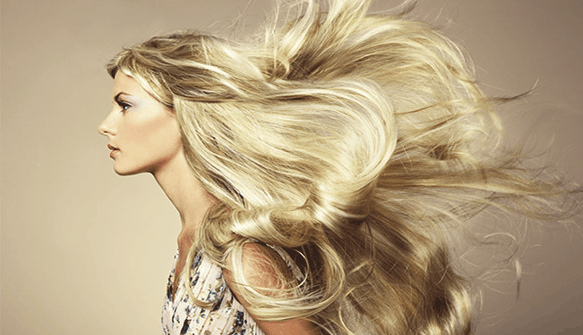 Nowadays, Hair extensions will be selected because it is a fairly popular item for a woman. If you have a perfect hair, I am sure that you will very beautiful and attractive. But, when you had a perfect hair with our hair extension, you will answer that: “How to care for hair extensions?”. Hot weather will create a bit of a problem for your hair extensions, it is harder than usual to maintain a fresh and natural weave. You could spend your days indoors next to your air conditioner or you could follow our tips: “How to care for hair extensions in summer?”. The hair that extensions are made of can care just like your regular hair. 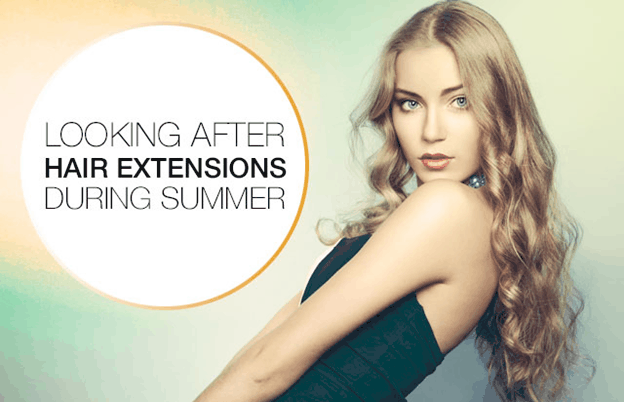 “Summer vacations, pool parties, and family cookouts” all can affect your extensions. Here’s our guide on how to look after Vietnamese hair extensions in the summer. Salt is very dangerous for your hair. We know that the beach is very attractive everyone in summer, but, Chlorine and salt water will play the absolute havoc with your extensions and will result in you needing to wash them extremely thoroughly which just takes up the precious hours of your summertime! If you don’t want to give up your hair extension, you could pop your hair into a braid and accessorize with a floppy hat or a cool head scarf. What about Vietnam remy hair? Summer conjures up images of carefree days by the pool, and you have to know that: Swimming is fine, but you should avoid letting them soak for long periods of time, and after swimming you need to dry them promptly when you get out of the water. Try putting your hair into a low bun, or a loose braid, while swimming to avoid tangles. Keeping hair braided or in a low bun while swimming. I’m sure you guys already know how the sun’s harmful UV rays can wreak havoc on your skin. But it also damages your hair extensions. You need to keep them nourished and moisturized. Another problem is sweat. With the hot weather in summer, we often sweat so much, especially head skin. If you sweat every day, you will wash your hair. However, washing hair every day is the thing you shouldn’t do because this thing made your head skin become weaker and your hair is lost. You should do it once 2-3 days. In short, we suggest that: “Sweat, Salt, Water in pool and UV is enemy of your hair extensions”. Never fear, if you listen to our guide care hair extensions, you will have a beautiful hair for yourself in summer. 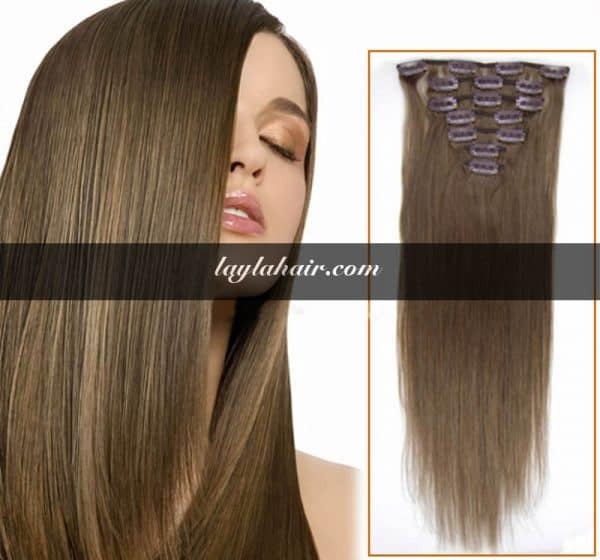 In summer, you will love beautiful and change yourself with every new day filled with energy, especially with your hair, so the wig is a very useful and intelligent choice for you. So as not to affect your real hair, make sure you get a new hairstyle and take a look at how to care Human hairs extensions. Use a hairspray to keep your hair beautiful, if you get tangled, you can smooth your hair with hairspray and brush with a brush comb. When combing, keep the hair roots and brush down to avoid falling. After using human hair extensions, you should gently remove the adhesive tape from the wig. If you can not peel them by hand, soak them in a few minutes in a dedicated solution. After removing the tape from your hair, place it on the shelf so that they can hold the shape of your hair. Then use a smooth brush and rinse the dirt with your hair, then apply a little amount of sanitizing solution over the hair surface and let them stay overnight in that state. This will help you to create the adhesion for the human hair extensions through many uses. In case of repeated use, dirt does not go away, you can soak the human hair extensions in the hair cleaning solution After cleaning them, wash your wigs with regular shampoos and let them dry naturally by spreading your wigs in a shady place, avoiding the wind to tangle your hair. When not used to pack into the plastic bag for hair from dirt. Should not be used frequently for long periods of time (except for those who have hair loss or baldness. 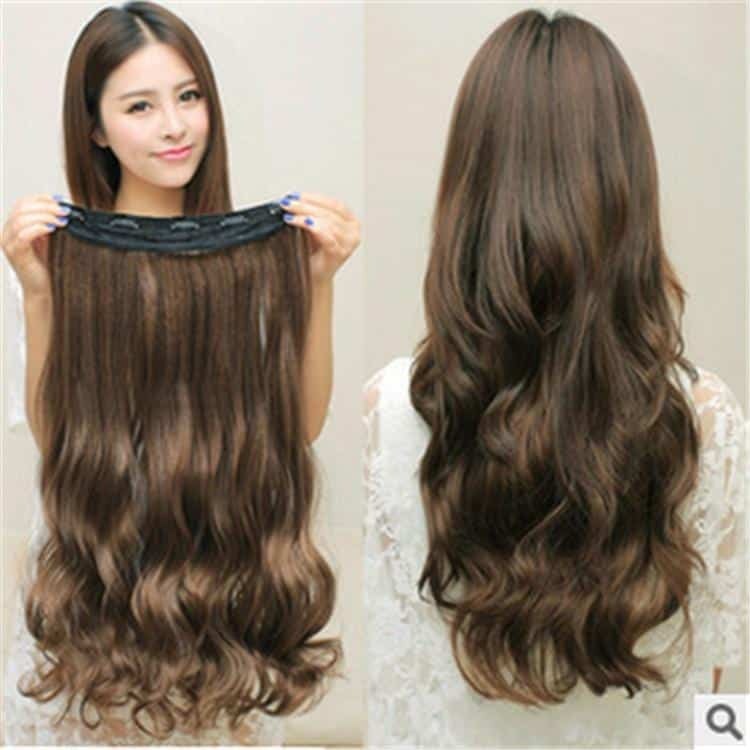 So, answering questions about how to care human hairs extensions, now you can safely have your own favorite hair and I hope that you will care and clean them after every use. Good luck! With the cold weather that wreaks havoc on your skin, it puts your hair extensions at risk as well. The arid conditions of winter take the moisture out of your hair strands, which in turn can make your hair dry, frizzy, lackluster and fragile. To keep your hair extensions in the best possible condition they can be. It’s vital to be aware of these little tricks that you can easily incorporate into your daily routine. We will provide for you some vital tips and tricks to take care of your extensions this winter. Winter is coming and hair extensions need to be cared to maintain stay healthy and shiny. Colder weather, your extensions will be sucked, so you need to add that moisture back in, and the best way to do that is with an ultra-moisturizing shampoo and conditioner. Using the best quality hair products for Remy hair, such as sulfate free shampoo and conditioner. It is the best way to restore moisture to your hair. If your hair exposure to dry winter air will eventually lead to your shiny hair extensions turning dry and brittle and then ultimately breaking. We suggest you, during the colder winter months, it’s essential to use a deep conditioner occasionally to help keep your extensions moisturized and healthy for as long as possible. Especially, you have to train your hair so that it only needs washing twice per week. Snow and wind is enemy of your hair extension. Never leave the house with wet or damp hair, because this can result in breakage. Also, keep your extensions protected from the cold by wearing a scarf or a hat. This will help protect your hair extensions from the extreme changes between the warm, moist air found inside most homes and buildings during the winter and the dry, cold air outside. But, be sure to wear a hat, headscarf, or hood made of silk or satin linings. Because they won’t absorb moisture and they don’t allow your hair strands to rub together like other materials like cotton do. If in summer, salt and UV is very dangerous, in winter, you need to keep your hair moisturized and protect your hair outdoors. You should remember some hair care and styling tips that you can use during the colder months. Thanks!